In this case on genome privacy, students work together to research one of six assigned lobbying groups’ views in this area and then present their groups’ positions before a mock meeting of a U.S. House of Representatives Subcommittee as they consider voting on the Genetic Information Nondiscrimination Act. 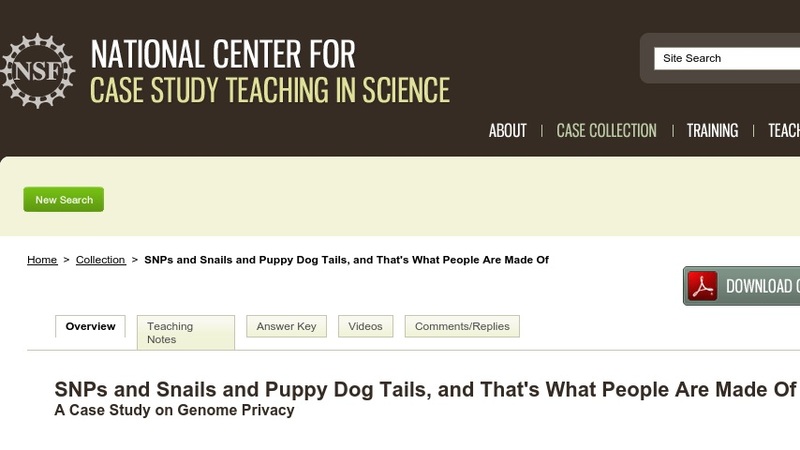 In working through the case, students learn about single nucleotide polymorphisms, common molecular biology techniques, and current legislation governing genome privacy. The case was developed for use in an introductory biology course entitled “Genes, Evolution, and Development.” It could be readily adapted for a genetics or molecular biology course.